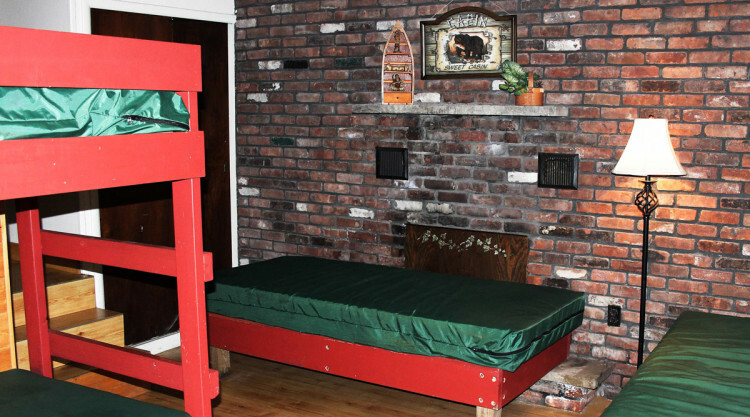 Bunkhouse 2 holds 8 to 10 guests in twin size bunk beds. 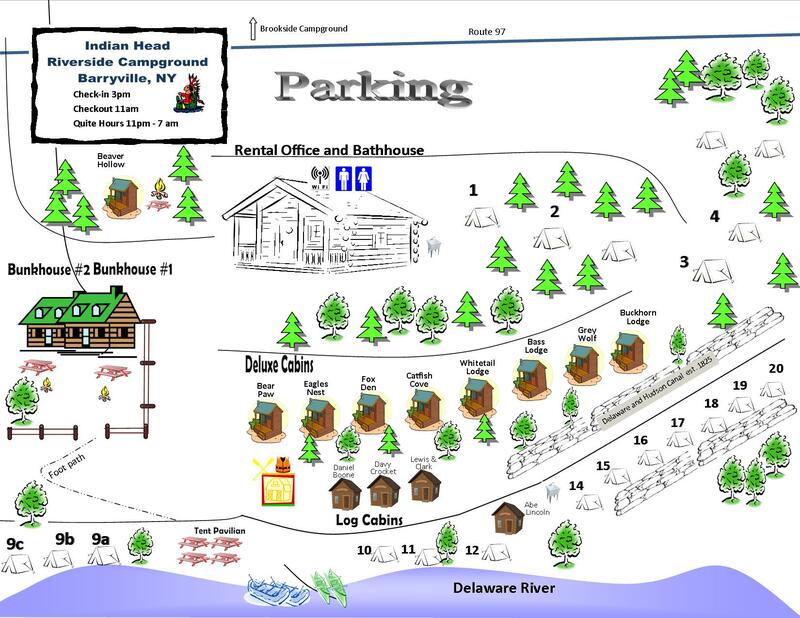 The backyard offers a great view of the Delaware River with plenty of room to play. 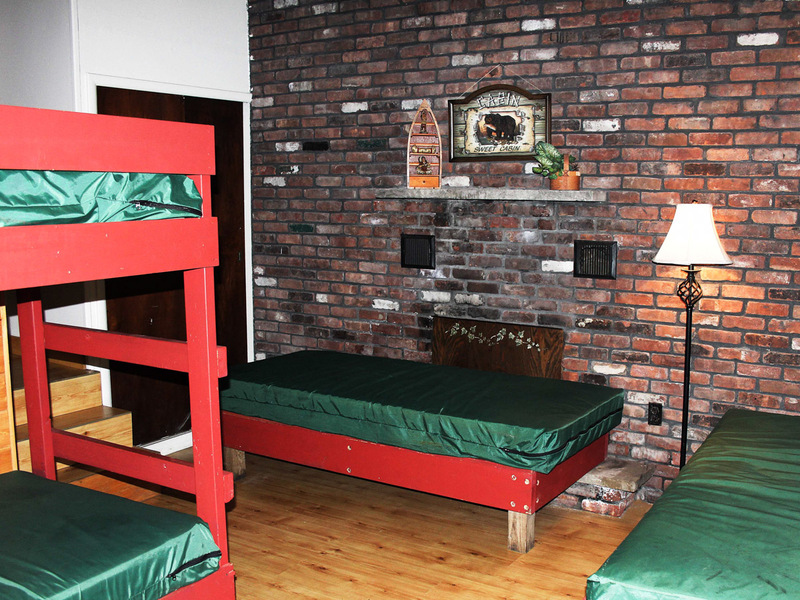 Stay in a log cabin, group bunkhouse, campground for half price with each daily Monday through Friday boat rental. Available Sunday through Thursday night. Holidays and deluxe cabins excluded. Package can not be combined with multi-day trip savings and does not apply to tube rentals. Pets are not permitted. Look at our dog friendly options here.